Dr. Shiva Shadmand is committed to the pursuit of excellence in orthodontics. She is dedicated to bringing the latest, most effective technologies into her practice and offering a wide range of leading-edge treatment options. Dr. Shadmand completed her Doctorate of Dental Surgery (DDS) before her love of orthodontics inspired her to return to school for a rigorous three-year specialty Master of Science (MSc) program in Orthodontics at the University of Toronto. Her Master’s thesis received the prestigious Thomas Graber award from the American Association of Orthodontists. Dr. Shadmand also holds a Doctor of Philosophy (PhD) degree, in the field of bone growth and development, from the University of Toronto Faculty of Dentistry. Dr. Shadmand is a Fellow of the Royal College of Dentists of Canada and a Certified Dental Specialist in Orthodontics with the Royal College of Dental Surgeons of Ontario. Additionally, she is an active member of various dental and orthodontic associations, including the Canadian Association of Orthodontists, American Association of Orthodontists, Ontario Association of Orthodontists, and the Ontario Dental Association. Dr. Shadmand is involved with many community and charitable organizations. She is a founding member of restoring smiles and an active provider of Smiles Change Lives. 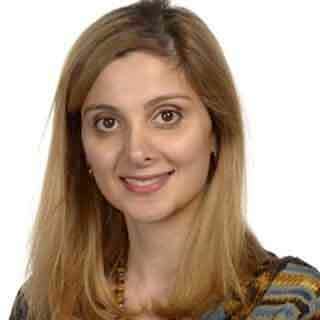 When she is not in the clinic, Dr. Shadmand loves to travel and is an avid reader. She enjoys the outdoors, especially skiing and bike riding and volunteering with community projects. Dr. Shadmand is happily married and is a proud mom to twin sons. 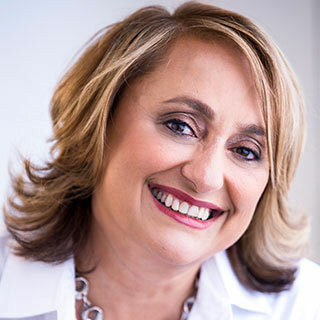 Dr Nargaski earned her Dental Surgery degree with honors and her specialty in Orthodontics concurrent with a Masters in Science degree from the Faculty of Dentistry, University of Toronto. After graduating from dental school, Dr. Nargaski spent a year as a dental resident at the Hospital for Sick Children in Toronto where she treated patients with various traumas, generalized medical conditions, and craniofacial anomalies. Her concurrent assignment to the Holland Bloorview Kids Rehabilitation Hospital allowed her further experience in treating both children & adults with disabilities, anxiety, and other complications. As an Orthodontist she continues giving back to her profession through both being a Lecturer and Clinical Instructor in Orthodontics at the University of Toronto’s Faculty of Dentistry. She is president of the Alumni Association at the University of Toronto’s Faculty of Dentistry, where she continues to mentor young dentists as they start their careers and she is on the Board of Directors of the Ontario Association of Orthodontists where she is involved in policy and continued education of all orthodontists in Ontario. She is a Fellow of the Royal College of Dentists of Canada and is a member of the Royal College of Dental Surgeons of Ontario, the Canadian Association of Orthodontists, and the Ontario Association of Orthodontists. In her time away from the office and the university, Dr. Nargaski enjoys traveling, the arts and theatre, reading and writing and community service, especially as it involves improving access to care.